At first it was artificial eggs that became spreading throughout Chinese markets, and now the turn came to plastic rice which is supposedly spreading in several Asian nations. The news of this fake rice started appearing on the social media such as WhatsApp and Facebook. This plastic rice is believed to be currently spreading in Singapore. The fake rice sold on Chinese markets has probably found its way to other countries as well, like some Asian countries, including Vietnam, Indonesia, and India. According to many consumers, this fake rice can be found in a lot of well-known brands. They have reported that this rice causes various diseases related to stomach, and gastritis after consuming it. A lot of people who saw the rice said that it can’t be detected since it is mixed with normal rice. 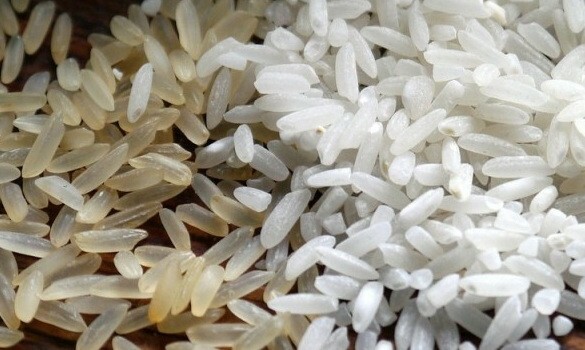 Health experts warn that consuming this plastic rice, coated with poisonous resin, can cause serious damage on the digestive system. International Business Times claims that the fake rice is made of mixture consisted of regular potatoes, synthetic resin, and sweet potatoes. The food malicious deception has been circulating throughout Taiyuan, Shaanxi’s markets for a long time. The bad news is that it is almost identical to natural rice. The Ministry and Malaysian Agriculture Industry strongly deny receiving any kind of reports about the plastic rice. They say that if the plastic rice appeared in Malaysia, it is most probably bought in small shops rather than the mentioned large supermarkets.